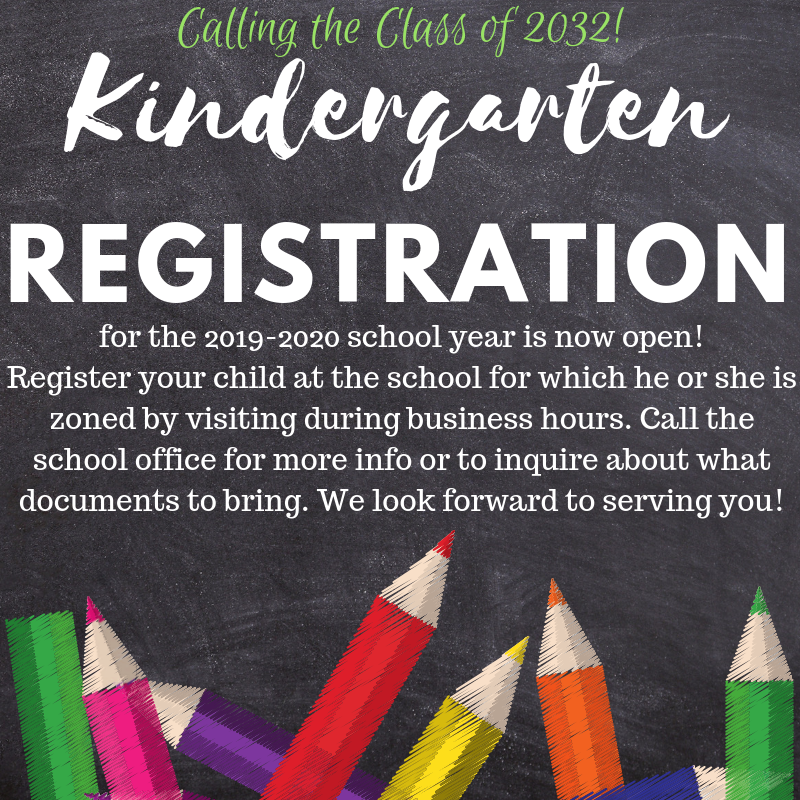 Kindergarten Registration for the 2019-2020 is open March 18 - 29, 2019 daily from 8:00am - 3:00pm. Parents and guardians should go to the school for which their child is zoned to complete the registration process. Please bring with you"
We look forward to welcoming your child to the Ware County Schools family and partnering with you to ensure your child has a successful K-12 school experience.